Since a few weeks ago it came to be I am a happy user of Comandante MK3 Nitro Blade hand grinder. 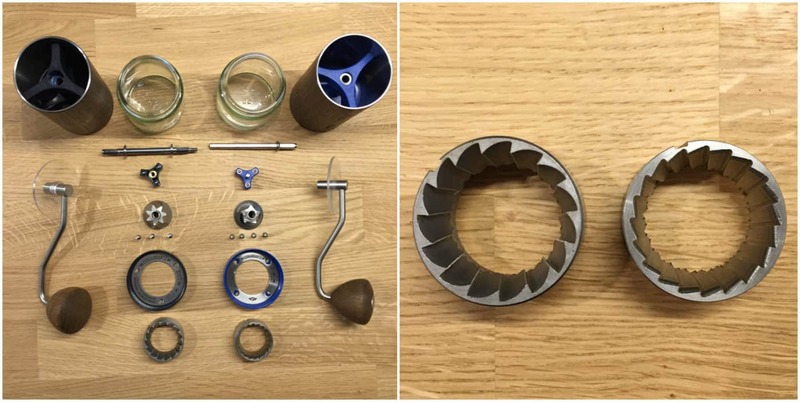 Until now I had used all Comandante grinders (MK1 and MK2), and I also ran the Hand grinders test last year. Although I have not met Mr. Bernd Braune, the CEO of Comandante, we discussed his grinders and their performances a few times via email or Facebook. In November last year, Mr. Braune addressed me with a question if I was ready for MK3. I was really surprised to learn there was about to be an MK3 grinder launched on the market, I thought the project was canceled. I was truly happy when the package arrived. Here I review my first experiments with it. 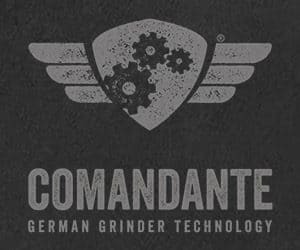 Comandante is a German manufacturer of manual grinders. 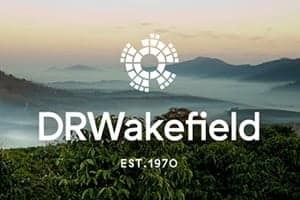 The company goal is to provide high-quality hand mills for Speciality coffee. 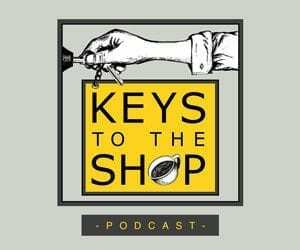 Mr. Braune once said: “There are two important things in my life: well-made tools and good coffee! … There is no time for flimsy plastic stuff”. 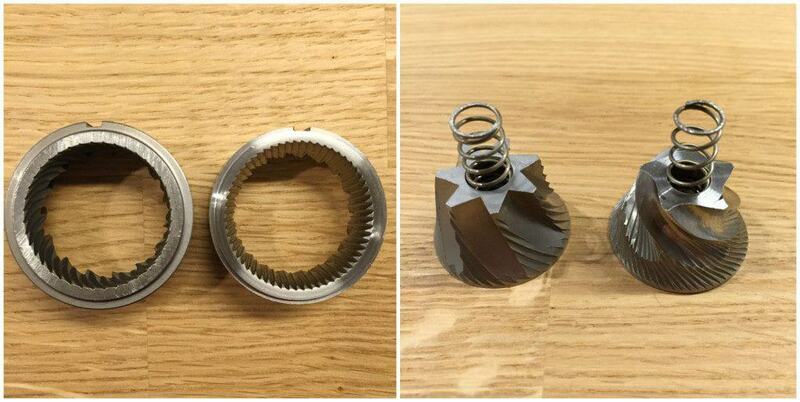 That is why, since the company’s beginning, they used only stainless steel burrs rather than the ceramic ones. Stainless steel grinder core geometry “cuts” through the beans and delivers a much better grind result with much less undesired coffee dust. Ceramic burrs work with more push & squeeze action. This time Comandante used special steel which is highly inert and achieves the neutrality resulting in fine fruity notes and acidity which normal steel “takes away”. The Comandante C40 MK3 Nitro Blade is a robust, high performance grinder with an advanced burr design. 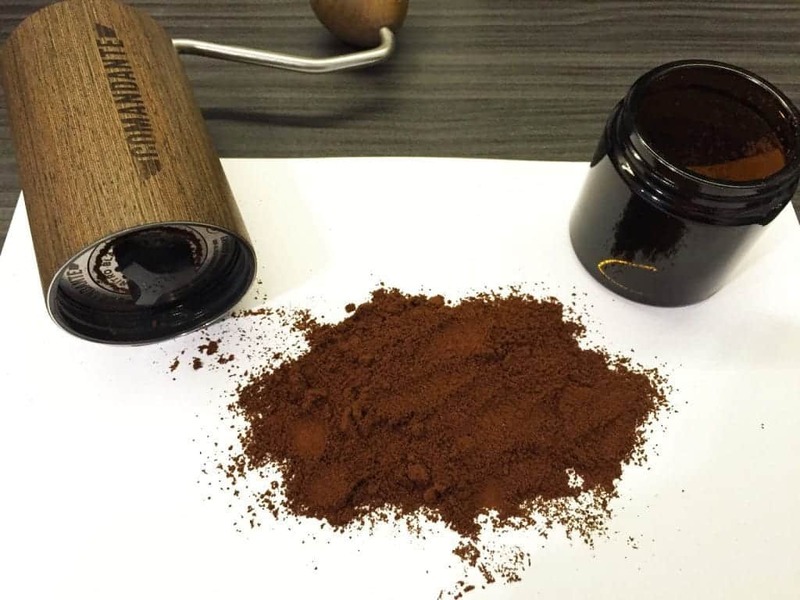 In the package comes, apart from the grinder itself, an extra brown glass jar with a lid. The only thing I missed was a bag for transportation. The burrs are made with high-alloyed, high-nitrogen stainless steel with a fine martensitic matrix. Comparing to MK1 or MK2 the geometry and the structure were refined to get the best grinding performance. Comparison: Comandante MK3 (left) and Comandante MK2 (right) on both pictures. As result of usage of the right material, the MK3 burrs are a piece of highly wear resistant machine particle, with a high degree of edge retention. 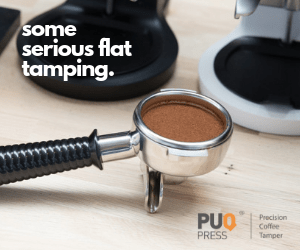 It gives it the great advantage of endurance if dropped on the floor, in which case ceramic burrs might break or get damaged otherwise. MK3’s burrs will remain untouched. I must admit that there is a clear improvement in terms of speed and fluency comparing to the previous versions. 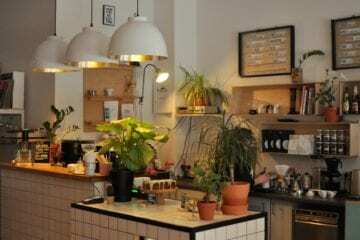 Even a child or an elderly person will manage to grind light roasted coffee beans. Grinding is very smooth and stepless. As an example I ground 15 grams of coffee for a morning filter in about 25/30 seconds. 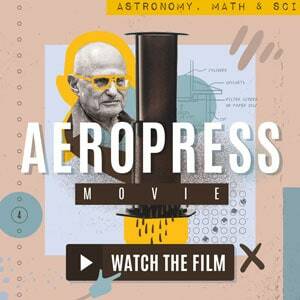 Grinding the same amount of coffee for a morning espresso takes about 40/45 seconds. Grinding setup for espresso (40/45 seconds). Click for detail! Obviously, it depends on the coffee we use. 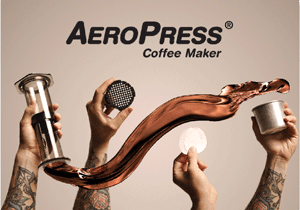 It will be faster with more developed coffee than light roasted one. What I also find a great improvement is the quality of the burrs that allows us to completely close the gap between the burrs. 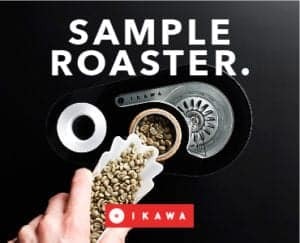 This means that with Comandante C40 MK3 you can grind beans for the Czezve/Ibrik method as well as for Espresso. 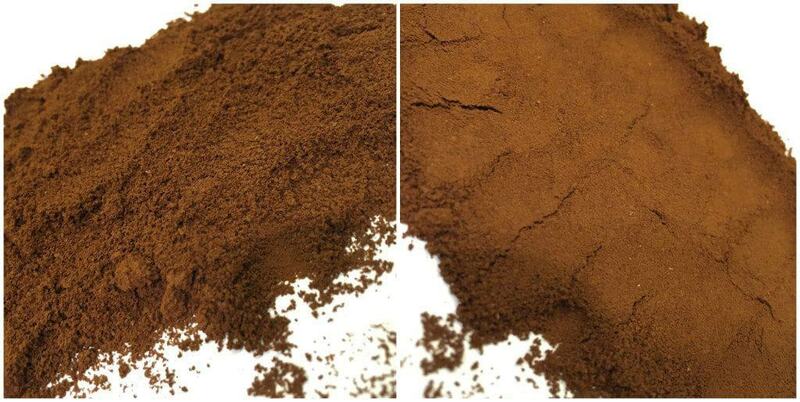 Grinding for espresso (left) and the Czezve/Ibrik method (right). Click for detail! The number at the bottom = grind throughput – number of turns. Number of turns it takes to grind your morning coffee. Finest to coarsest. Click for detail! 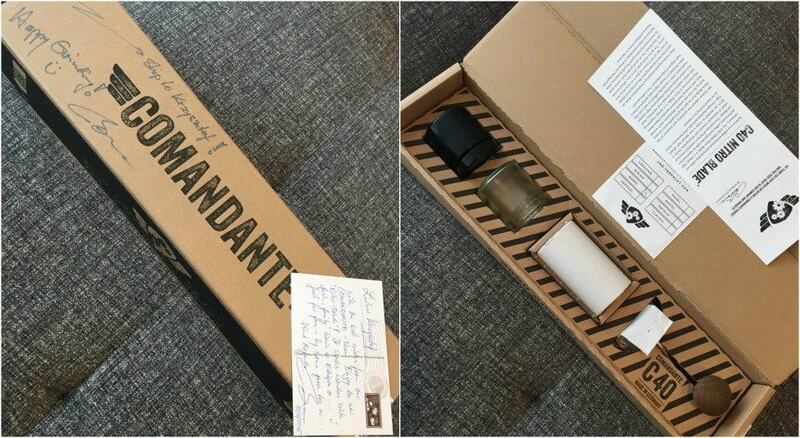 I admit that I was already impressed with the previous Comandante grinder which was outstanding. 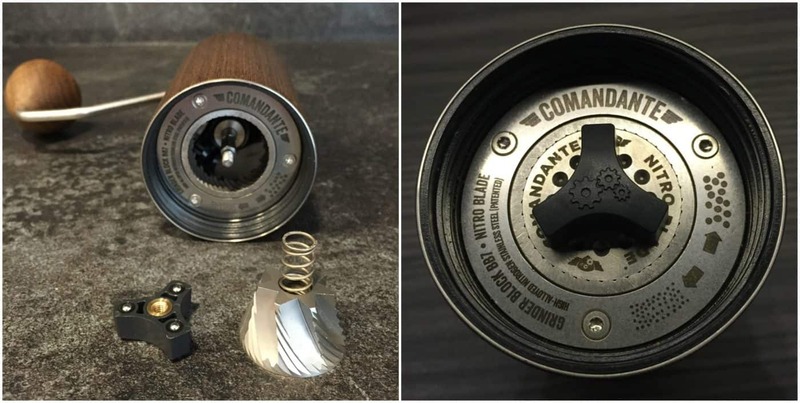 The Comandante MK3 is in my opinion one of the best hand grinders I have ever used. 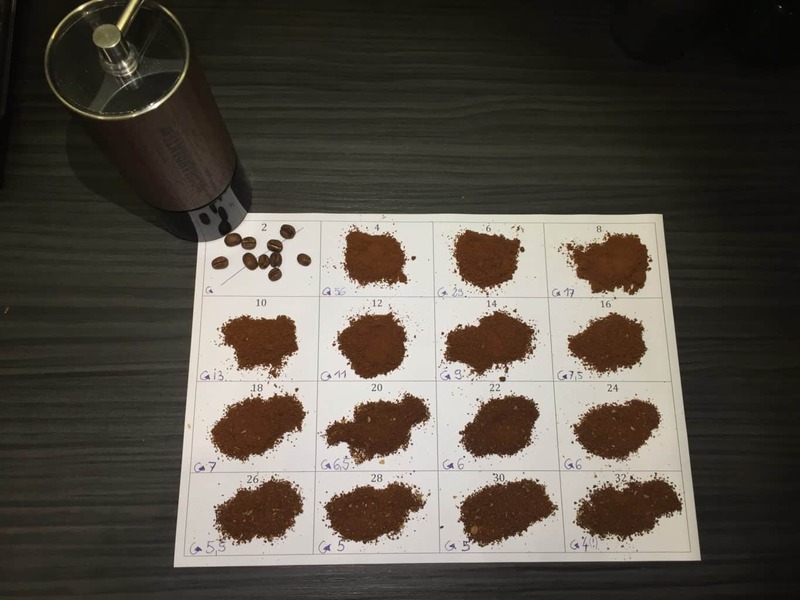 It is very robust, the grind result looks very exact and very uniform with the least amount of coffee dust, or significant amount of coffee boulders. The steel surface is inert and therefore performs with absolute sensory neutrality. As my test proved you can use it also with salt, pepper or other dry herbs. After grinding a portion of pepper, I brushed the burrs and cleaned the coffee chamber and proceeded with coffee beans grinding. I did not recognise any pepper flavours or left overs in my brew. Coffee ground using C40 MK3 is cleaner, sweeter and with more pleasant acidity in the brewed cup. Any disadvantages? 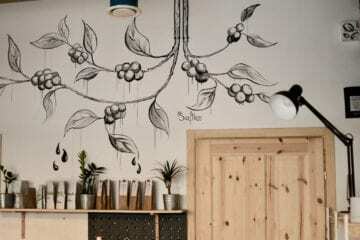 Maybe the price may seem high, especially for Polish baristas and coffee geeks, but trust me, it is worth it! For brewing coffee at home I use MK3 rather than Mahlkönig Vario. 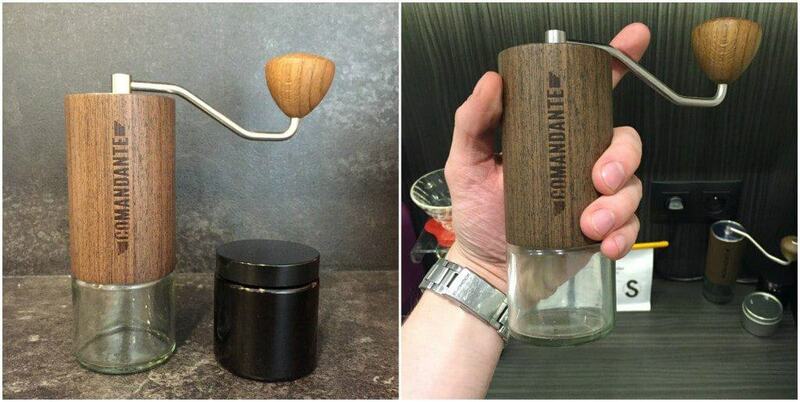 The Comandante grinder is available on the Internet at Coffeedesk online store. Krzysztof Barabosz is head barista at Kofeina Art Cafe, co-founder of Akademia Kofeiny and co-organizer of Proinfuzja Barista Challenge.